I'm not sure where it would fit, unless you could hover/click the bottom time to see. But being able to view UTC (so that everyone is using the same times for planning) and local (so you can easily tell what time it is) is important to me. The post was edited 1 time, last by AdmirableNorth ( Apr 16th 2019, 8:00am ). kind of like quest markers from other MMORPGs. Allow us to create pins with tags on the map, so we can mark out areas that we know have x resource there, instead of memorizing it all. Perhaps with filters - I'm not sure how much "trash" loot there is in this game, but being able to autoloot kills or at least pick up loot in an area would be nice. 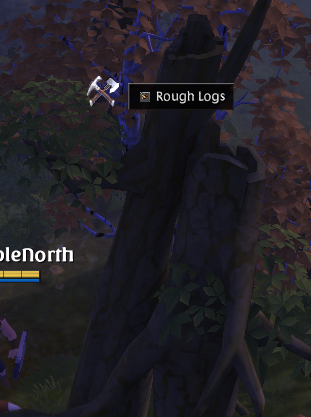 Suggestion: Change buff to have name separate to description in tooltip. I think it would look better if a) copied b). Perhaps make "Time remaining" more distinct as well. The post was edited 1 time, last by AdmirableNorth ( Apr 16th 2019, 1:10am ). Perhaps with arrow keys, and make sure there's a reset button. It's possible to walk to a spot and click it, but it adds unnecessary hassle, and could obscure the appearance of things in general. I don't know if this is an intentional decision, but at least for harvesting, it is quite annoying. Suggestion: Indicate Talents(?) that are being tracked on the Destiny Board. Being able to see at a glance what talents are being tracked would be very nice. I'm often trying to look at the destiny board as opposed to the tracking tree, so that I can see what I'm tracking where. 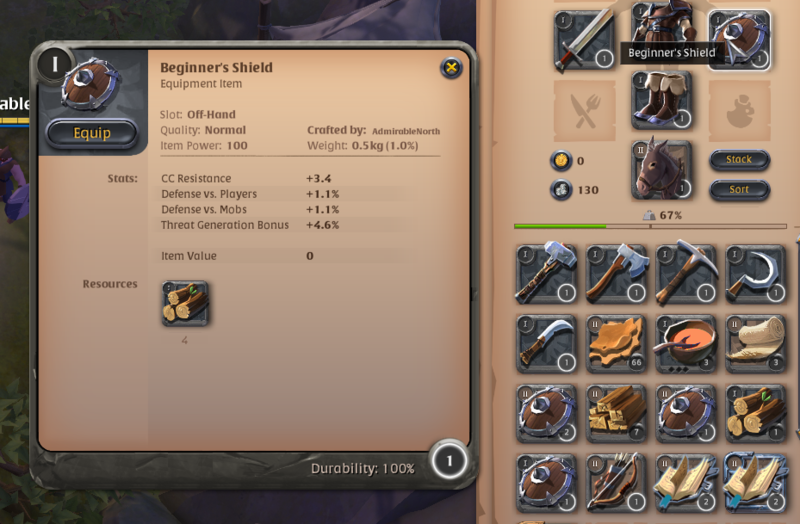 In the example, you can see that I'm tracking Journeyman Refiner, but there's no indicator. There are light sparkles for selected, but that's not what I want. Hi @AdmirableNorth, please consolidate your suggestions into one post so that it doesn't clutter the Feedback & Suggestion forum. I'll just address the negatives, thanks for the support on the others. I've not played the game much and I haven't actually done PvP yet haha. I'm still in the tutorial and just judging the gameplay for small quality of life stuff. kind of the same as 3. I feel like, if it's not hard to implement and it gives a small benefit, why not? In this case, the benefit is just being easier on the eyes, for me. Because if I memorize the name of buffs and what they do, being able to quickly distinguish the name makes it easier to figure out what's happening. For autoloot, it's just annoying having to be super precise with my clicks for uncontested loot. But yeah, I've not played in PvP areas, so it might be a different situation there. btw, these *are* all just minor QoL suggestions I think. Just small things that would be nice if they were implemented, cuz it makes using the system smoother and easier or something like that. If anyone has disagreements about it, feel free to raise it and I'll try and dispute it, but if I can't, I'm more than happy to accept that it's a bad suggestion. That's why it's getting posted on a forum board, so that people can discuss it. Is it possible to set titles on our own comments? Or will I have to place the suggestion title inside the body? 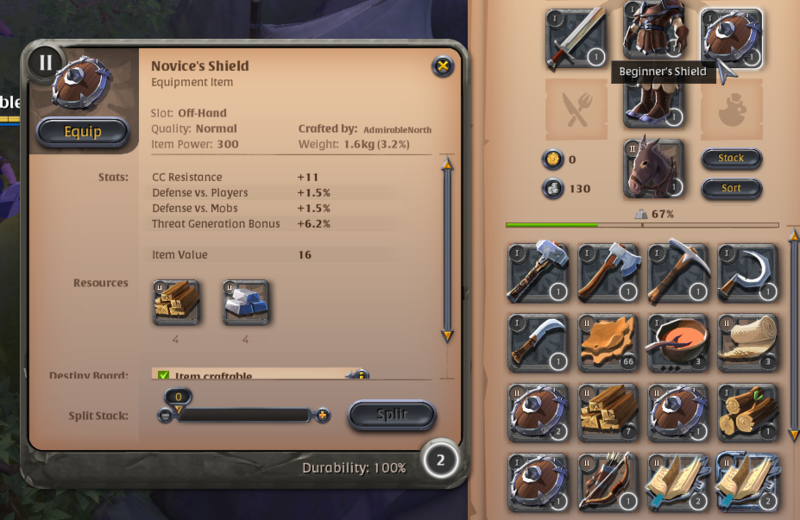 b) I click on Novice's Shield to see what's better. Obviously, it's going to be Novice's, but if gear gets more complex, then I won't be able to see how their stats compare. so being able to compare stats in the inventory would be nice. And a more bold indicator of what is currently "equipped" as well, such as the left stack of novice shields in this one. META: On another note, do you guys prefer if I supply imgur direct links instead? Or would you prefer to keep the embedded images? I prefer embed so the photo is up all the time, but if you guys want me to post the link instead, I'm more than happy to. The post was edited 1 time, last by AdmirableNorth: Adding a meta note ( Apr 16th 2019, 7:59am ). You can place the title of your suggestion in the post itself. If you need something else edited, feel free to let us know. The camera rotate suggestion has been covered a few times already, and the devs have categorically stated that this will not be happening. Yeah, that is a good point. Maybe I should update the OP reorganizing that comment. It was mainyl meant to be about the inability to click certain objects, I'm sure there are other ways to fix it, I just suggested the first one that came to mind haha. Suggestion: Cotton Plant Object - Possible variable number of bundles of cotton? 3. autoloot (just no! or how do u handle this for pvp loot? or is it just for pve? )I've not played the game much and I haven't actually done PvP yet haha. I'm still in the tutorial and just judging the gameplay for small quality of life stuff. I'd imagine this is a common one. There is no auto pathing for PC's (as far as I can remember). Due to the solid nature of objects in this game, combined with the "clicky" controls, it gets annoying having to click around cleared ore/trees to get to another one.